LinkedIn has always been known as the professional social network of choice, concentrating on making sound business connections, publishing status updates relevant to your industry and connecting with people who you can work with. However, not everyone uses the network in the right way and ignore the ‘etiquette’ of LinkedIn, using it more like a Facebook or Twitter marketing resource. The thing to remember is that LinkedIn is a completely different entity and you can soon damage your reputation if you fail to use it properly. Many social sites have their own brand of etiquette, but LinkedIn is different in that it has been developed for, and is used by, professionals. One of the biggest mistakes many people make with the site is that they use it in a similar way to Facebook. Personal pictures of yourself with the kids, for example, are a no-no for the professional network site, others are interested (hopefully) in what you do, how you conduct yourself in a business environment and this should be reflected in your profile picture – just you, or your business logo, if you’re also running a business account, is as personal as it should get. Logged into LinkedIn recently to find your feed completely full of updates from just one person/company before you’ve even been through your morning email? Annoying isn’t it. Posting updates to LinkedIn should be spread out throughout the day at intervals – constant updates, especially personal ones, will soon lose you connections. Keep your updates strictly business related and remember to keep them to a minimum – say five max per day. There are other ways to engage with users, such as the use of Groups, but these do take a whilst to take off and try to ensure you invite only those connections to whom your group/content is relevant. Another thing to avoid is sending direct sales messages on the professional networking site; these are often generic and personally, put me right off engaging with that user and more inclined to disconnect. We all get enough spam from every source possible, don’t particularly want it from professionals as well. Should people contact you through the messaging system then do reply, even if you can’t really help with their request. This builds relationships and strengthens connections, there’s nothing worse than being ignored and if you do so with a potential client or colleague, then you will damage that relationship before it’s begun and it’s very likely that the messenger will no longer want to engage with you or your business. Much like Facebook, if you want to engage users, ignoring them because you feel you have better things to do is unlikely to help your business in the long run. These are of course, great for your profile so remember to give as well as receive. Once you have built a strong connection and have worked with another connection for a while, then ask for a recommendation and return the favour. Don’t ask everyone you’ve just met on the network to give you a recommendation, especially if you’ve only worked with them briefly, or worse, not at all. Not only will this make you come across as desperate, but it doesn’t seem very professional either. After all, you wouldn’t ask for a reference when you’ve met someone at a networking event the once, would you? 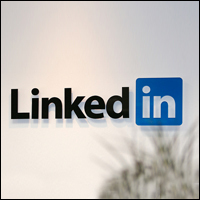 LinkedIn is a great resource for professionals and businesses and can be powerful tool if used correctly. However, the dynamics are different than those of Facebook and Twitter and this is something that it’s important to remember if you want to enjoy any form of success on the network.